Physicians sacrifice time, money, and immerse themselves in years of study to save patients’ lives, but the profession isn’t for everyone, and there are many other roles in health care. If you desire to impact patient care, yet seek to avoid blood, needles, and years of medical school study, here are the degrees that can prepare you for the industry without the sacrifices. And the best part? Most are available 100% online. Heal the World Without Medical School. Manage the Health Care System. Make a Difference Through Public Health. Find Success Through a Health Technology Profession. Emerging Entry-Level Careers for Health Graduates. Choose How You Impact the Future of Health Care. Sacrifices for medical school, both monetary and personal, are not for the faint of heart. However, there are many bachelor’s and master’s degrees that allow you to work in health care in other capacities. 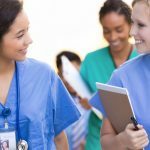 Whether you hope to manage health care facilities or direct patient care, these educational opportunities can help you pursue a variety of careers. While a patient’s health care experience should appear seamless, the behind-the-scenes work to process a patient from waiting room to checkout is critical. Medical and health services managers plan, direct, and coordinate the health care environment. Those with a Master of Health Administration (MHA) degree often have the opportunity to work in a variety of health care facilities, including hospitals, nursing homes, or group medical practices. Depending on the position, a health care administrator might manage an entire facility, department, or medical practice. 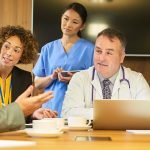 As health care legislation and technology evolves, health care administrators are responsible for ensuring their practice meets new standards. Enhance your leadership skills through a cutting edge curriculum while enjoying a 100% online MHA program with no GRE requirements. Graduate in as few as 2 years from an online program designed specifically for experienced healthcare leadership professionals. This program offers an interdisciplinary approach to the study of the health care delivery system. Earn your degree online in less than 2 years. Learn more. Those who graduate with a Master of Public Health (MPH) degree can pursue a number of careers, including health education, health policy, and epidemiology. Epidemiologists investigate patterns and causes of disease and injury, contributing to a reduction in infectious diseases in developed and undeveloped countries. Through their studies, epidemiologists can help reduce the occurrence and impact of diseases and other health conditions. Their work often influences community education and health policy. Some epidemiologists also complete fieldwork where they conduct interviews and collect samples for analysis. As of 2015, the median wage for epidemiologists was $69,450, although this depends on the industry. According to the U.S. Department of Labor, employment opportunities for epidemiologists are expected to stay strong, on average with all other occupations, and have risen considerably during the past decade. If you’re ready to help combat some of the most deadly diseases in the world as an epidemiologist, an MPH degree is for you. The only online MPH from a top-ranked medical school. Healthy Communities start with you. Earn your MPH from USC. At UA, your opportunities are boundless. 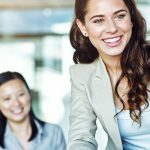 This top-ranked MPH offers three concentrations to help you broaden your impact and advance your career. Learn More. According to the U.S. Bureau of Labor Statistics, medical records and health information technicians are among the 20 fastest growing occupations in the U.S.
UIC’s Health Informatics online programs prepare graduates with technical knowledge, work experience and leadership skills to help improve patient care. Health care professionals can pursue a number of Bachelor of Science degrees. Bachelor of Science degrees can provide skills to help patients and health care organizations with hands-on patient care. Two in-demand degrees include a Bachelor of Science Degree in Respiratory Science and a Bachelor of Science Degree in Medical Laboratory Science (MLS). Graduates with a Bachelor of Science in Respiratory Science can pursue a career as a respiratory therapist. Respiratory therapists care for patients who have trouble breathing for various reasons, including asthma, emphysema, or other chronic respiratory diseases. Therapists often have direct contact with patients of all ages, and can also assist with emergency services. A Bachelor of Science in Medical Laboratory Science (MLS) can lead to a career as a medical laboratory scientists or technician. Medical laboratory scientists test and analyze patient samples, such as body fluids and tissues, to help diagnose and monitor medical conditions. Become a laboratory scientist by getting your degree from top-ranked University of Cincinnati. This bachelor’s program is NAACLS accredited and fully online. Graduate in as few as 20 months from the prestigious University of Cincinnati. The 100% online BSRT program is top ranked and led by doctoral prepared faculty. Choose How You Can Impact the Future of Health Care. Want to learn more about how you can make a difference in the future of health care? Read our additional blogs, infographics, and resources to help you select your path to the degree and career that you want.